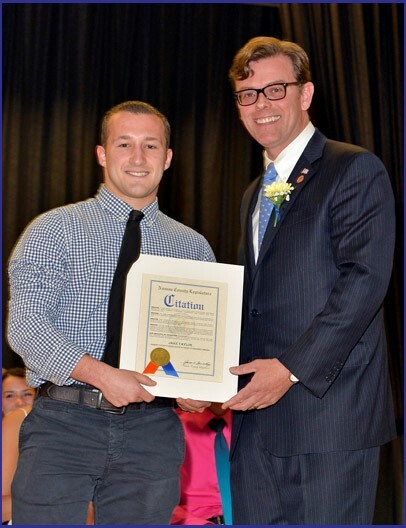 Legislator James D. Kennedy had the pleasure of presenting the 2017 Nassau County Legislative Student Citizenship Award to Jake Taylor, recent graduate of Massapequa High School. As an AP student with a positive attitude and strong leadership skills, Jake pursued excellence in academics, extracurricular activities and has been actively involved in community service. Congratulations to Jake on his outstanding achievements.